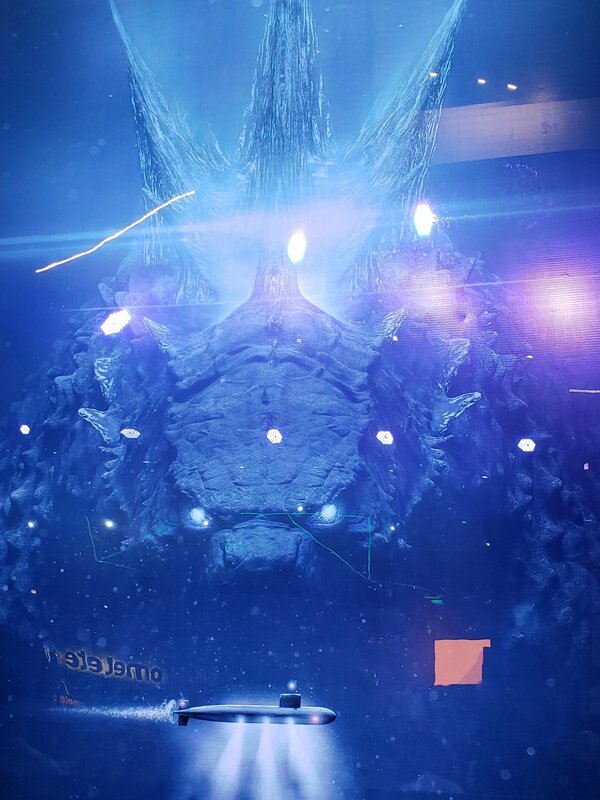 Sneak peek at Godzilla: King of the Monsters display from Brazil Comic-Con! The Godzilla panel doesn't take place until this weekend at Brazil Comic-Con but thanks to Steven Weintraub, who arrived early, we have a sneak peek at the rather sweet display they have set up for Mike Dougherty's Godzilla: King of the Monsters. The new trailer for Godzilla 2 will be dropping at the convention this Sunday. Be sure to check back often as we deliver coverage from the event! 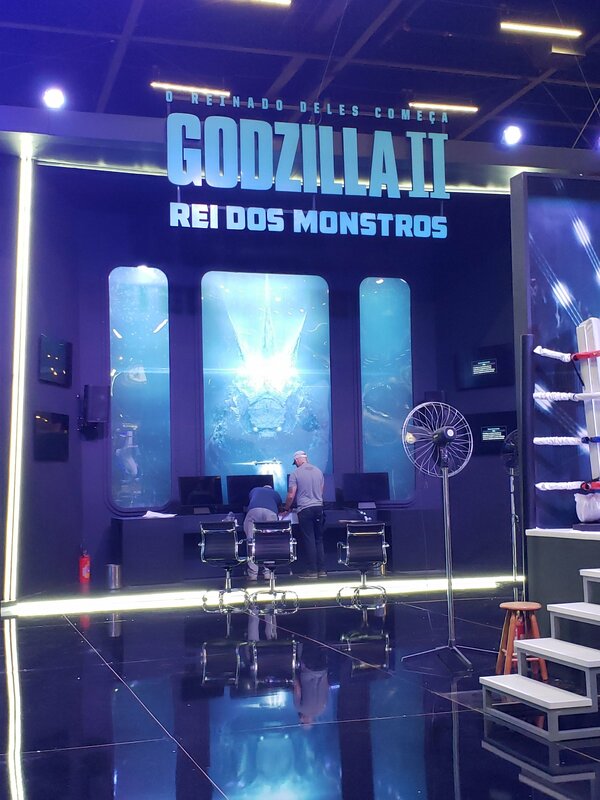 8 Fan responses to Sneak peek at Godzilla: King of the Monsters display from Brazil Comic-Con! I've never been more excited to have an image forthcoming in my nightmares, because HOT dang that underwater shot is creepy and awesome. This picture gives me energy. Hot damn, that looks amazing! 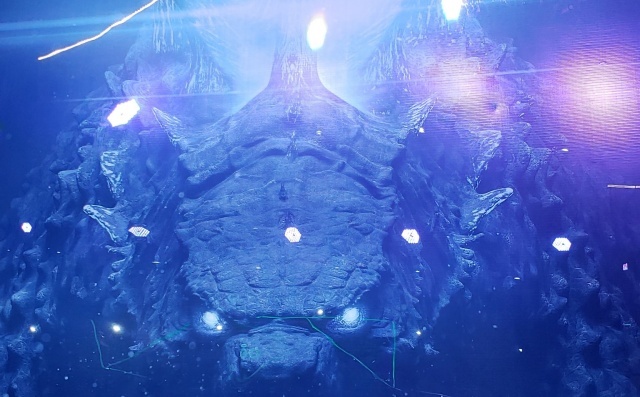 Now I want a ride based around an underwater trip where riders encounter Godzilla. That submarine is a Tylenol in comparison to Godzilla. It is now my desktop back ground. The trailer will be released online Monday morning! I have high hopes for this movie. It better be nothing less than awesome. Who's the artist again? Is it Andy Fairhurst?